Is Jailbreaking A PS3 Reality? Remember when modchips first came out? You had to violate your Playstation in order to play games on burned disks? Well, I do, and what I remember most wasn’t the fact that my friends got to play the newest games for free. It was the complicated—and very dangerous—procedures they had to go through in order to get these free games. Hackers and modders charged ridiculous prices to solder a chip into your Playstation and even worse was the risk you knowingly took when trying to get your chip. Modders made no guarantees, and if your Playstation ended up a brick, it wasn’t their fault. They wouldn’t offer you a refund, and since you opened up your system, you voided the warranty so Sony had no obligations to help out a pirate customer. Thankfully, in the modern age of USB drives and open source coding, things don’t have to be as invasive as those old barbaric days, but Sony and other developers are also a lot smarter than they used to be and do their best to prevent hacking of any kind. However, if the Ozmodchips USB drive is actually real, a jailbroken or mod-USB Playstation 3 just became available. Ozmodchips USB drive claims to do many of the things that Sony has been trying to prevent ever since modchipping first began back in 1994, when the Playstation first hit markets. All you have to do is put the USB drive into one of the Playstation 3’s available USB ports and voila you have a PS3 that can now duplicate games onto the hard drive, play games from the hard drive, make and run Homebrew applications, and it can STILL play games online. And looking at the above video, it seems that it actually can do what it’s advertising. The person in the video has the USB drive plugged in with God of War 3 in the disk drive; however, he boots the system up from some sort of root and chooses InFamous that is apparently on the hard drive. Then the PS3 reads InFamous and runs it perfectly fine. The device seems like the Playstation hacker’s gift from the gods. But the device does have a few limitations. On the Ozmodchips Q&A, the device only allows Playstation 3 games to be dumped onto the hard drive, which means that your old PS2, PS1, or even your Blu-rays won’t be able to be as convenient to access as your Ps3 games. The USB drive also works on existing firmwares, and if this is in fact real, you can bet that Sony will be releasing a quick 3.42+ firmware that will find whatever exploit the device is using and shut it down. Skatter Tech cannot confirm whether or not this is in fact the real thing, and only those that really really want to be the pioneers for a jailbroken PS3 should pay the $169.99 sticker price. 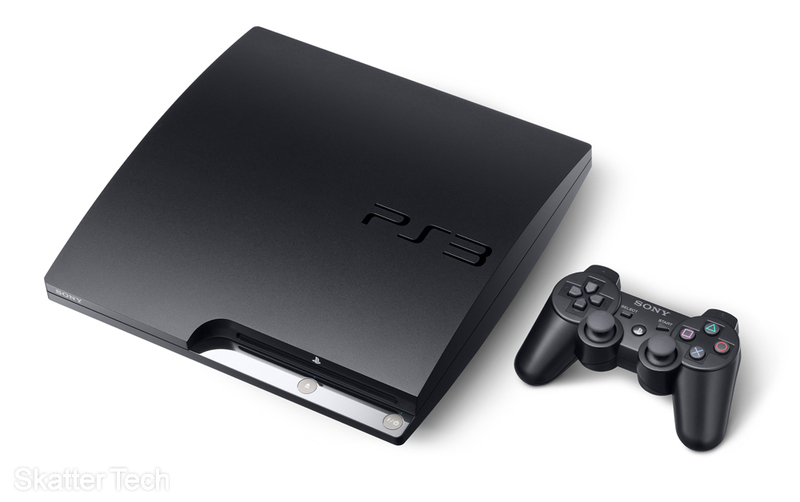 But if it is in fact the real thing, then it is a major win for consumers who want more out of their PS3.